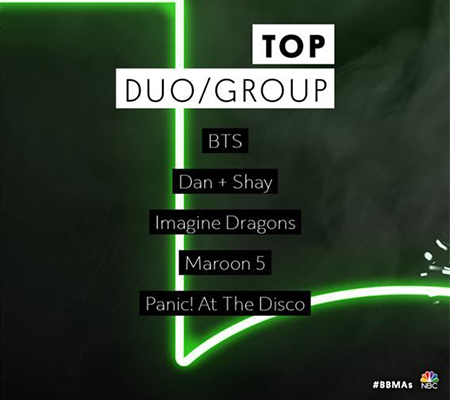 K-pop phenomenon BTS has been nominated for Top Duo/Group and Top Social Artist for 2019 Billboard Music Awards, making another history as an Asian group in the category that has long been dominated by western acts. The nominees for this year’s awards were announced on Thursday morning (local time) on the Billboard Music Awards website. BTS was awarded Top Social Artist for the past two years but has never been named for the bigger Top Duo/Group category. It is a rare act of an Asian artist as the trophy for top duo/group has long been picked up by artists from western countries. The septet will face off against Dan + Shay, Imagine Dragons, Maroon 5 and Panic! At The Disco. Korean boy group EXO and GOT7 also won the nomination for the Top Social Artist title, together with Ariana Grande and Louis Tomlinson. This year’s awards ceremony hosted by Kelly Clarkson will be held on May 1 at the MGM Garden Arena in Las Vegas and air live at 8:00 p.m. ET. 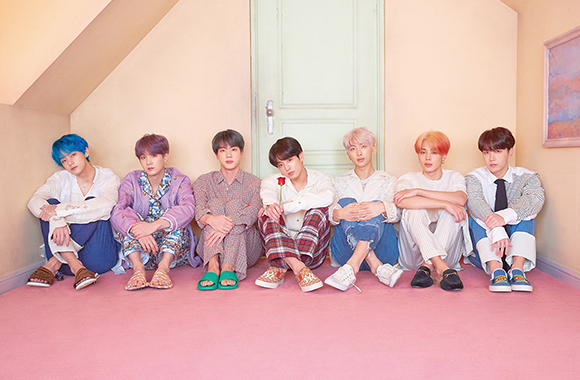 BTS’s new album “Map of the Soul: Persona” will be released on Apr. 12. It has ranked top in Amazon’s best-selling CDs & Vinyl category since pre-orders started on Mar. 13.